Our property management services give you peace of mind. Sit back and relax while we manage your property for you. Over the years, we have carefully established a respectable reputation for providing top notch services to our tenants and landlords. We are well equipped to meet whatever needs and expectations our tenants and landlords may have. At L&A Lettings, our landlords receive a great value and comprehensive property rental with our full management service. We deal with all rental and property management issues on your behalf. You benefit from our core services such as periodic inspections, monthly rent collection, fault assessment, allocation and safety inspections, general tenant queries, property maintenance and more. For Landlords, if you want complete peace of mind or are too busy with your job or are retired and live abroad, our full property management services is ideal for you. You can carry on with your activities with the knowledge that your investment is safe with us. It’s a win-win. Over the years, we have developed fruitful partnerships with trusted third-party tradesmen such as electricians, gas engineers, and plumbers. We ensure the property is well maintained by carrying out routine visits to check the state of the property, and suggesting improvements when and where required. When a property maintenance issue arises, you don’t need to lift a finger. With your authorisation, we will use one of our trusted tradesmen, to attend to the job in no time. 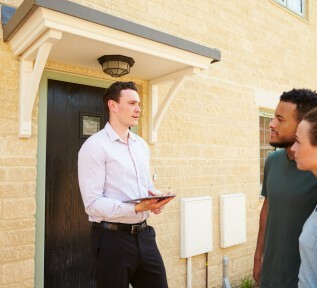 We have a team of experienced and well-trained property experts. We are knowledgeable about the laws affecting the property market and we will protect your interests by maintaining your property to excellent standards and also providing inside tips and advice on laws affecting our industry. • To market the property, utilising, as is deemed necessary our network, the internet, signage and local newspaper channels. • To perform accompanied viewings of the property along with an individually tailored screening of potential tenants. • To draw up legally binding tenancy agreements and complete any Housing Benefit Applications should they be required. • To agree with the Owner a suitable deposit and to place this with a legal deposit scheme. • To arrange for the collection of rent due and endeavour to take reasonable steps to ensure that accounts do not fall into arrears. Where arrears do occur, to encourage and advise the tenant on how to move out of arrears. To agree on a simple action plan to achieve this. • Pay landlords electronically on a regular basis or in the case of late rent collections as soon as the agent can do so i.e. when the rent is paid. • Advise landlords of any maintenance concerns that arise and if requested by the landlord make reasonable arrangements with contractors to undertake necessary work. • Conduct regular inspections, which are specifically tailored around the property and the tenants. • Ensure that your property meets all current and new housing legislation. Contact us today and register your interest by applying for a valuation on your property. Use the contact us form, email us your details or give us a call.